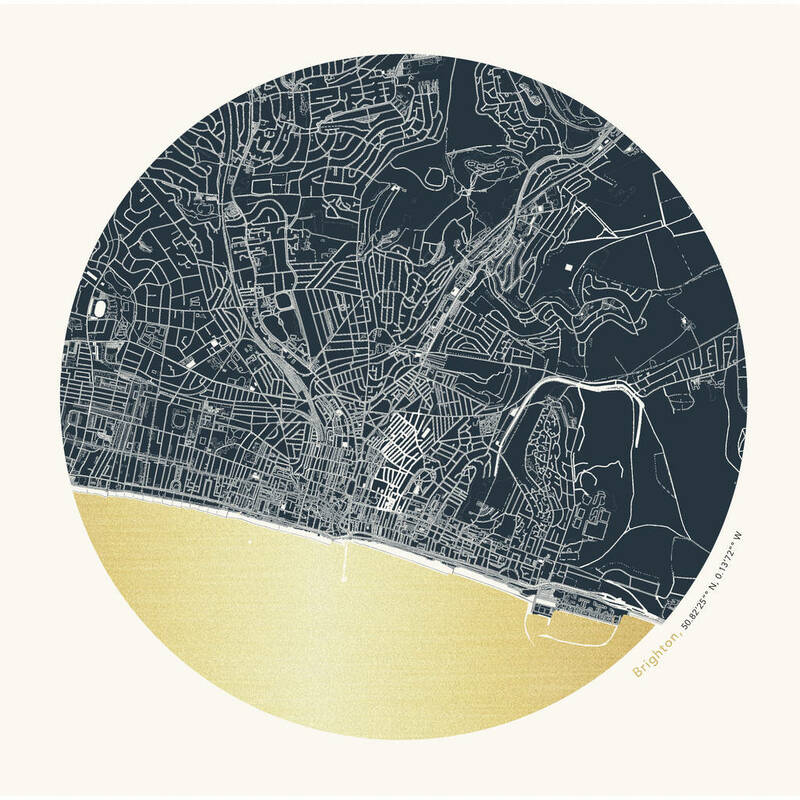 A detailed, circular coordinates map of Brighton. A statement piece great for a feature wall. 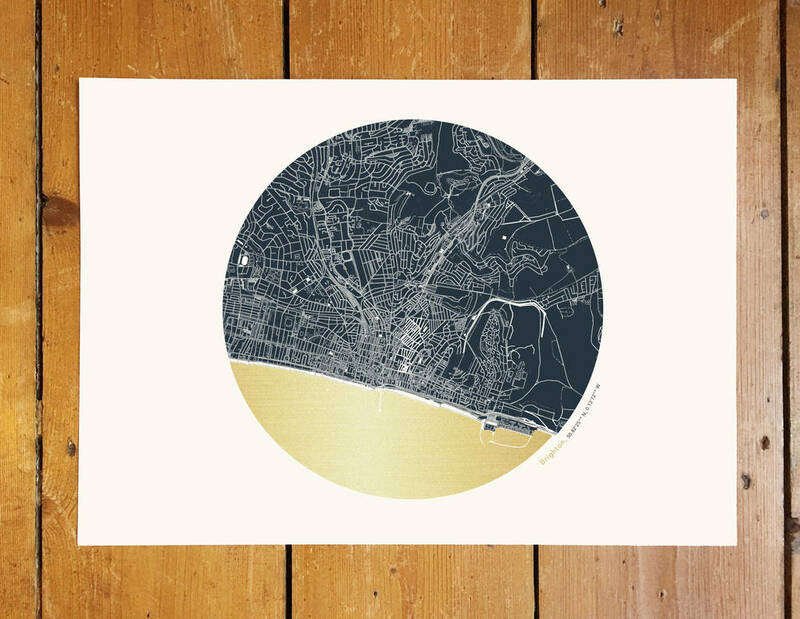 A stunning printed map of Brighton. 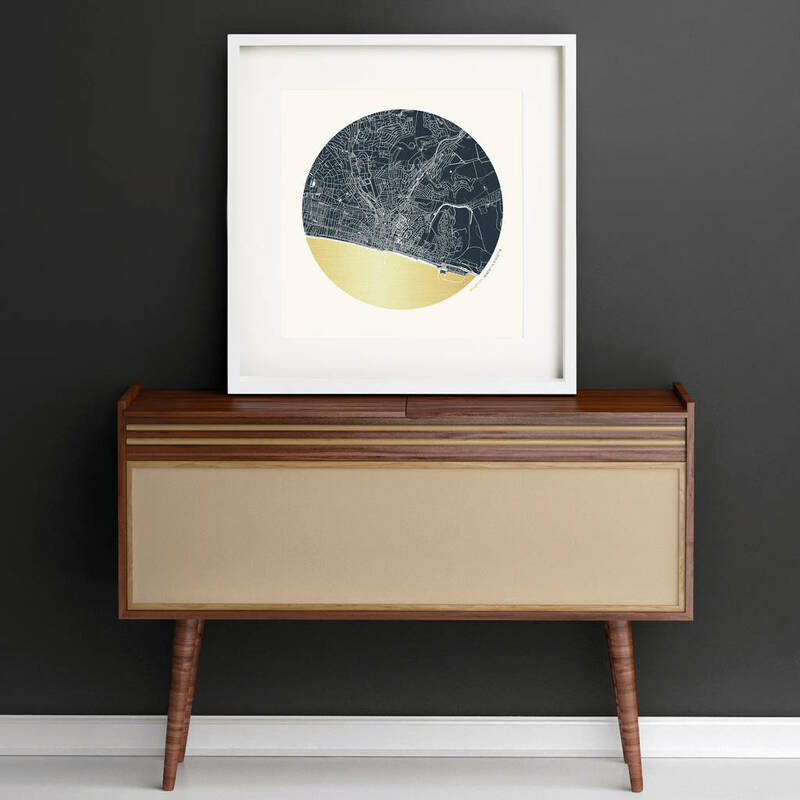 A circular print with metallic foil detailling. These unique prints command attention in any room, spend hours looking for your favourite hot spots! 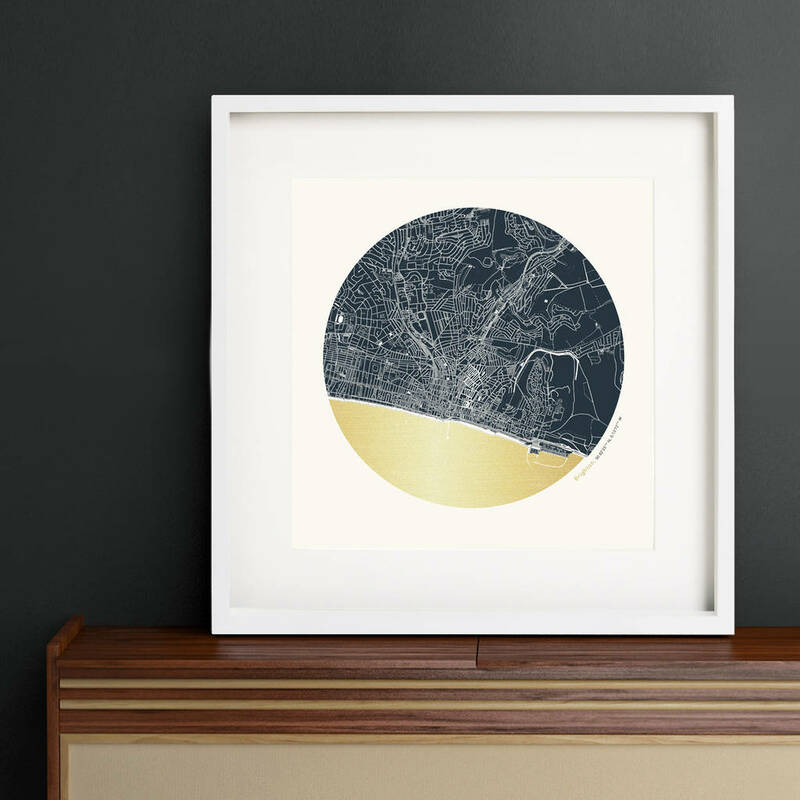 The perfect, personal gift to mark a new home, favourite hot spot or landmark occassion! Brighton text and Sea can be foiled in either Gold, Silver or Copper.